IRLB8721PBF MOSFET’s – More power! Backward compatible! The new software set will work on version 3.0, 2.2, and 1.9! In stock and shipping from our store now! New firmware and cad files available at https://github.com/jersagfast/RGBW-31. 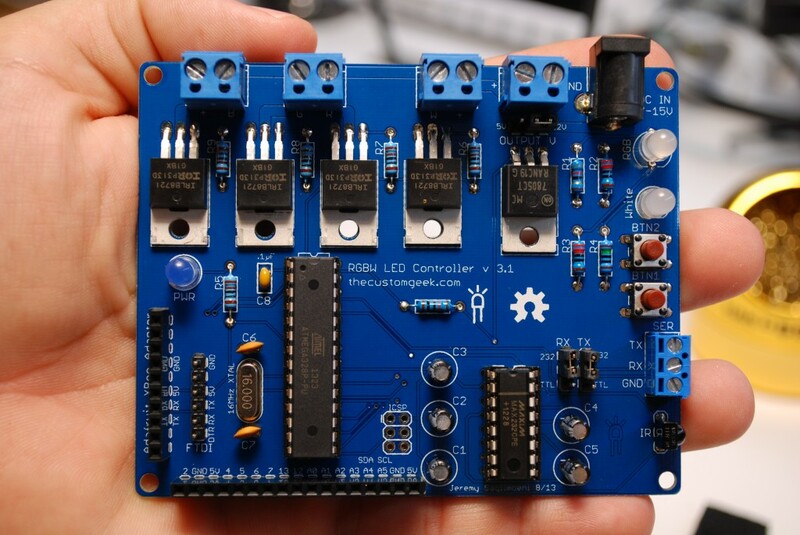 This entry was posted in Arduino, Kits, LED, Open Source Hardware, PCB, XBee and tagged 328, Adafruit, code, Controller, FTDI, Kits, LED, open source, open source hardware, pcb, programming, PWM, RS-232. Bookmark the permalink. i am thinking about getting this kit it would be a first for me and would like to do my kitchen like yours. Looking for some support information. how many led used say per foot what type and where you got them. thanks!!! !